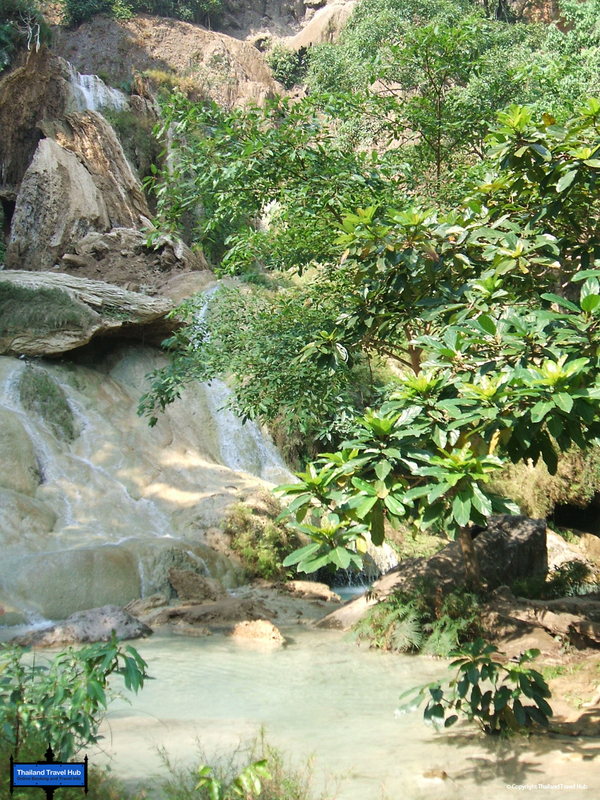 Erawan National Park & Waterfalls in Kanchanaburi is an absolutely fantastic place to explore and well worth the visit. 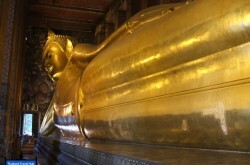 The park itself is 550 square kilometres located in Western Thailand. 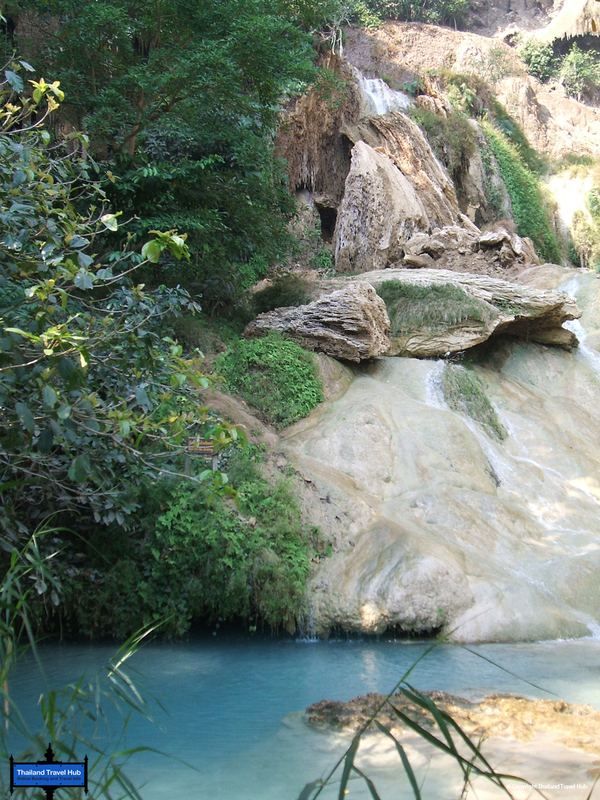 It is in the Tenasserim Hills of Kanchanaburi Province and was founded in 1975 as Thailand’s 12th national park. 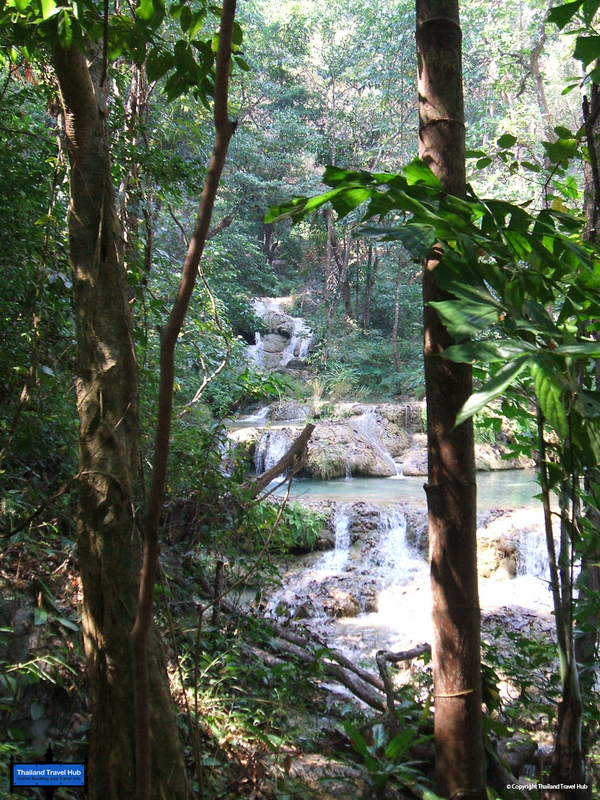 Inside the park, you will find Erawan Falls which is named after the three-headed white elephant Erawan from Hindu mythology. 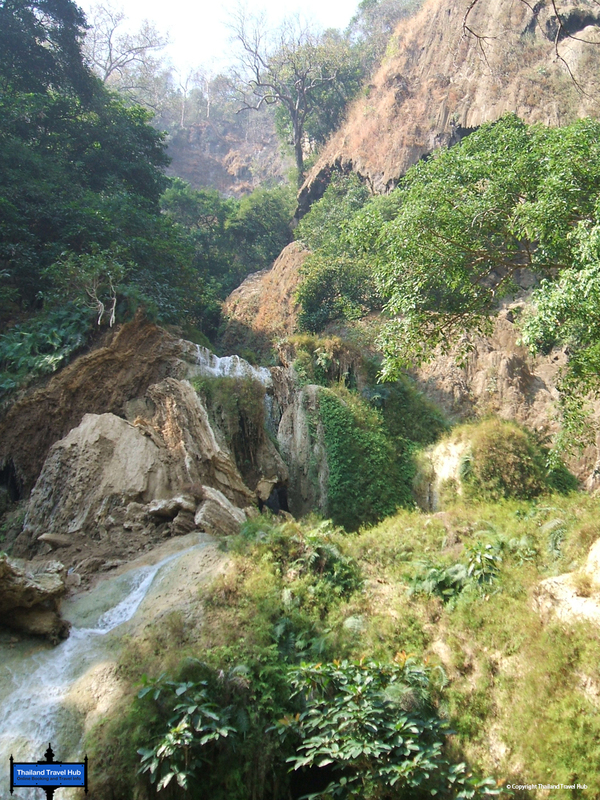 The falls, with its seven tiers, are said to look like the elephant. Each tier has it’s own pools, some bigger and deeper than others filled with small fish, which will give you a nibble if you decide to go for a dip. To get to the top you will need to hike up a number of trails and footbridges, which is a little challenging especially the last part to reach the 7th tier. There are four caves inside the park named Mi, Rua, Wang Bahdan, and Phartat. Mi is the Thai name for bear, and the cave may have been named after bears who lived in it. There are five chambers inside the cave, and it is on the south side of the park. You can also see stalagmites, stalactites, and stones. It takes 7 km of hiking to reach it. Rua or Reua Cave is located near to Mi Cave and is smaller. There are no rock formations or stalagmites inside it, although ancient graves have been found here in the past. Wang Bahdan Cave is a considerable distance inside the park and forest. This cave is limestone and has a narrow opening. Its chambers have stalagmite and stalactites as well as a small spring in the last chamber. Phartat Cave is in the north-west part of the park. 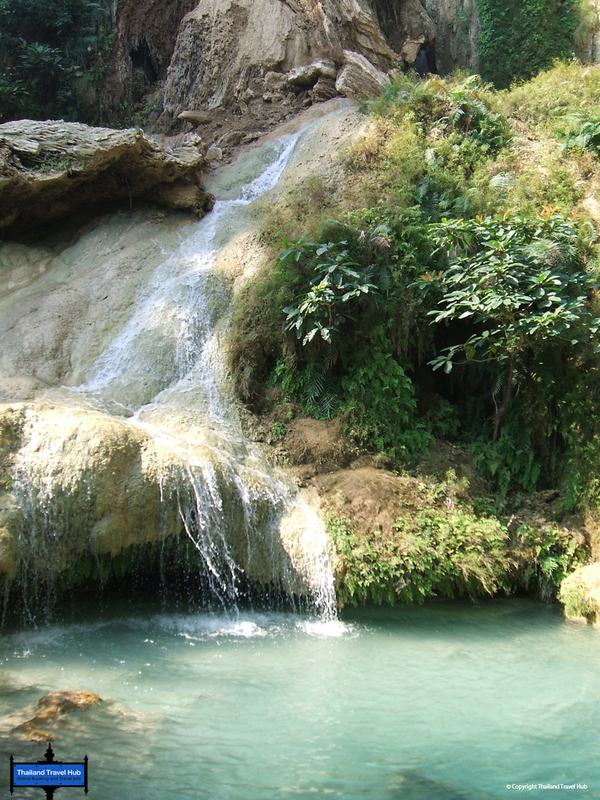 You can see stalactites and stalagmites inside its limestone hill. This cave is a short hike from the nearby car park. As you explore the park you may see macaques, Indian muntjac, wild boar, sambar deer, and more The most common birds of the Erawan National Park are the black-naped monarch, crested serpent eagle, black crested bulbul, dark necked tailorbird, grey peacock pheasant and a variety of eagles and pheasants. Visiting times are 7 AM to 4:30 PM daily. Weekends and holidays are usually the busiest times at the park. When visiting, waterproof electronics or keeping any cellphones, cameras, etc in a waterproof bag are recommended if going near the falls. You can find lots of facilities and restaurants near the park. There are even bungalows which can be rented if you want to try a multiple-day visit. Public buses from Kanchanaburi run to the park’s visitor centre daily. Food and drink are not permitted in all areas, and there is a charge to enter the park. 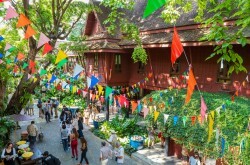 The Admission fee for entering the park for foreigners is 300 baht for adults and 200 baht for children. 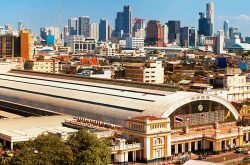 For Thai nationals it is 100 baht for adults and 50 baht for children. 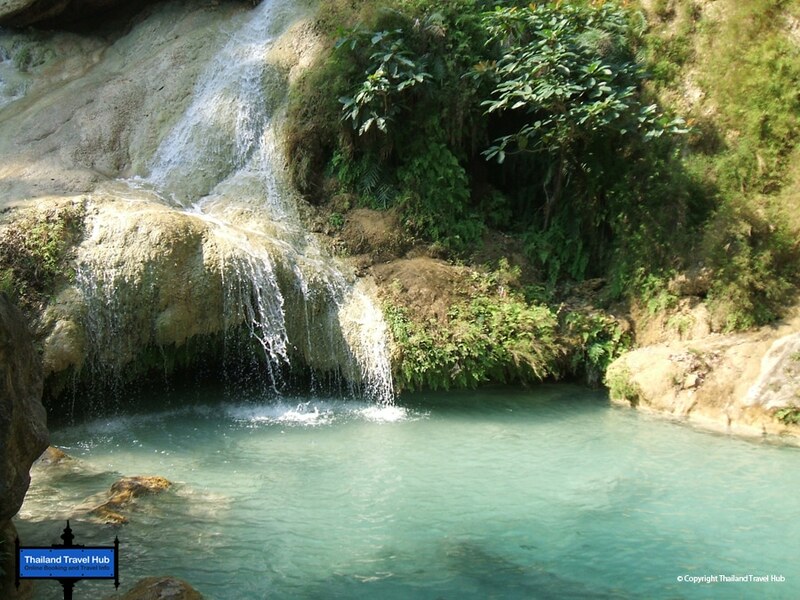 Visiting the Erawan National Park is a ‘must’ during your stay in Kanchanaburi, with it’s beautiful, lush scenery and surroundings you will be glad you added this location to your adventures.